Happy Thanksgiving, everyone! Enjoying your feast already? So do we at Cart2Cart by tasting holiday turkeys right at our workplaces. 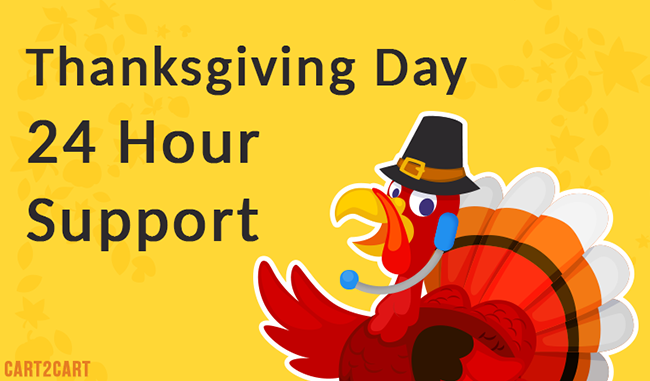 Today, on the 26th of November, Cart2Cart support department works on a normal schedule - 24 hours a day, so that you have more time to spend with your dearest ones. Feel free to contact us via phone, chat or ticket whenever needed. Thanks for being with us and have a happy celebration!